For many years, the John Lewis advert has usually been the firm favourite, but this year, there is a particular advert from one company that is winning over the hearts of the nation. The brand in question? McDonald’s! It’s not exactly the brand you may have been expecting to win the nation’s best-loved Christmas advert, but this year, it has pulled out all the stops to become one that is both adorable and memorable. Those who have already viewed the advert have claimed that it has truly put them in festive spirit and is giving them ‘the feels’. The advert sees Santa and his reindeers delivering presents to houses across the neighbourhood and while Santa is happy to find mince pies that have been left out for him, the reindeers appear sad and fed-up that they are constantly being forgotten with no carrots to munch on. However, we all know Santa would never let his reindeer go without, so whilst on his travels, decides to make a quick pit stop at the fast-food chain. He comes up with a plan to fill his empty sack up with the carrots from McDonald’s, to make the reindeer believe that the children had been extra generous at one particular house. The use of the carrots in the advert is certainly a nod to the fact that the retailer is trying to promote a healthy image in the coming year. Although the brand is associated with selling burgers and fries, it is now trying to advertise its sales of fruit and vegetables as part of their newest campaign. 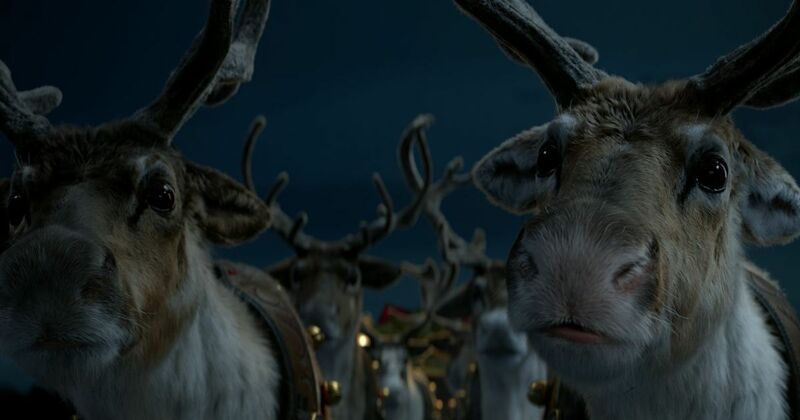 The advert is captioned with the “Are you #ReindeerReady?” to remind youngsters not to forget leaving carrots out for their furry friends on Christmas Eve. Carrots can be purchased as a side order or can replace fries as part of the children’s Happy Meal. “Awww the McDonald’s Christmas advert is one of the best ones I’ve ever seen! Best once since the old Toys R Us Christmas advert! “McDonald’s Christmas advert batting every other Christmas advert out the park”. Love this advert! Beats all the others hands down! Santa’s love for his reindeers brings a tear to my eye! Magical! I love this advert it’s really well done Mcdonald’s”. “Just watched it online yes it is the best this year”. What are the other Christmas adverts this year? Kevin the carrot is back for his third year – and fans can’t wait to see how his next adventure will plan out. The orange vegetable is seen driving around in his own festive truck, which many would say resembles the iconic Coca-Cola van. Many have also cleverly noted that this may be a subtle nod to the way in which Aldi cleverly copies well-known products which are usually compared to the original. Kevin is then seen driving towards a cliff edge, in which he shouts ‘help’ and the slogan ‘Save Kevin’ appears on the screen. The supermarket is expected to release a set of adverts, similarly to last year in which a story will develop – so watch this space! John Lewis are using Elton John as the face of their brand this festive season. The advert called ‘The Boy and the Piano’ showcases a selection of Elton’s most memorable moments throughout his life, from performing at school as a youngster, to playing at his rowdy local pub and backstage before one of his gigs. The advert begins with Elton playing the opening bars to one of his most well-known tracks ‘Your Song’ and ends with him as a young boy coming down the stairs on Christmas day to see that his grandma has gifted him a piano. This moment of course, paved the way for Elton’s success in becoming a global singer /songwriter. Talking to The Sun about the advert, Elton said: “The John Lewis Christmas campaign has so many warm memories for me and my family. For generations, children have picked up an Argos catalogue to choose the gifts they would like Santa to leave them, but quite ironically, this year’s advert could ruin Christmas forever for some little ones. If you have children of your own, it’s probably best to distract them for a little while this advert is playing, as it reveals that parents purchase Christmas presents and not Santa. It starts off with a cute little imp who escapes from a box of Christmas lights in the attic, before causing chaos. While the cute character will become extremely appealable to most children, there are scenes which show parents purchasing Christmas presents – proving that Santa doesn’t actually exist. Marketing director at Argos, Gary Kibble said: “Families across the UK work really hard to make their Christmas special, so when something doesn’t go to plan it feels as though there’s a mischievous force working against them. “We created the fool as the cheeky embodiment of this frustration and the ad brings to life the tiny annoyances that can cause unnecessary festive chaos.” he said. WATCH: The McDonalds advert here!